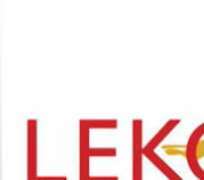 Lagos, Nigeria: March 29, 2019 – A Federal High Court sitting in Lagos, and presided by Justice Sule Hassan has ruled that Lekoil’s acquisition of an interest in the OPL 310 block still requires consent from the Minister of Petroleum Resources. Justice Hassan stated that the Executive Order issued by the Nigerian Acting President, Prof. Yemi Osinbajo in 2017, which should have deemed the Consent to have been granted, could not supersede the powers of the Minister of Petroleum Resources to grant such Consent. More specifically, the Judge disagreed that the Consent could be deemed granted and obtained in default which Lekoil believes is contrary to the provisions of the Executive Order. The Judge further noted that the Executive Order was signed in 2017, while Lekoil's application for the Consent to acquire the 22.86% participating interest in the block was made in 2016 and so could not be applied retroactively. Justice Hassan further ruled that the Sale and Purchase Agreement executed by and amongst Lekoil 310 Limited, Afren Nigeria Holdings and the administrators for the purchase of AIOGL was inchoate based on the fact that Consent is pending. Based on the judgement, the OPL 310 interest is still held by the seller, Afren Investments Oil and Gas Nigeria Ltd. Lekoil still holds a 17.14% participating interest in the block, however, which received ministerial consent back in 2017. Commenting on the development, Lekan Akinyanmi, CEO of Lekoil said: "The company is yet to receive the judgement in writing, and believes it has strong grounds to appeal against this judgment by the Federal High Court; and intends to file a notice of appeal, and a stay of execution of this judgment with the Court of Appeal within a week. The company will take all necessary action to preserve its right to the 23% interest in OPL 310." The OPL 310 license originally ended in February, but Lekoil has applied for the license to be extended due to regulatory issues. The Department for Petroleum Resources has recommended that the extension be granted, although it is still awaiting presidential approval. "The company believes that the OPL 310 license is still in good standing given that the extension is in process and there has been no communication from the regulators to indicate that an extension will not be granted," Akinyanmi said.